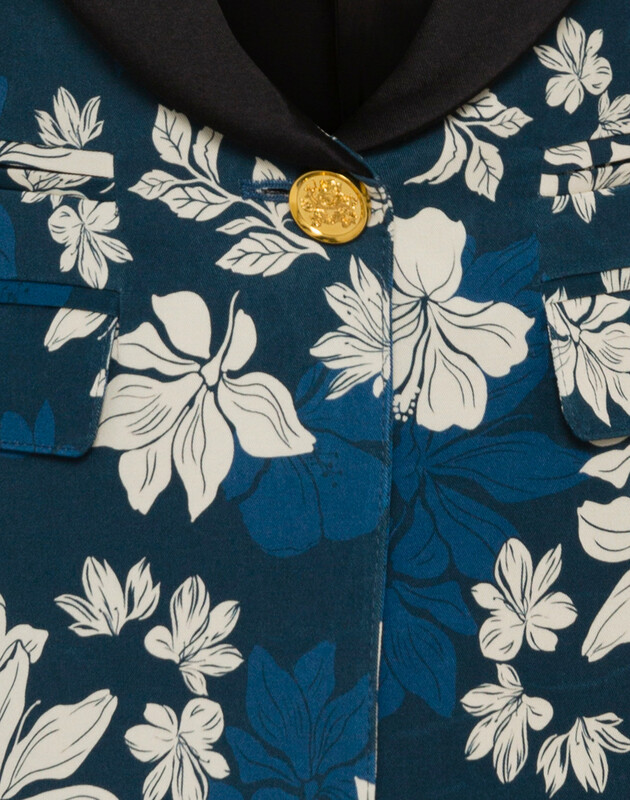 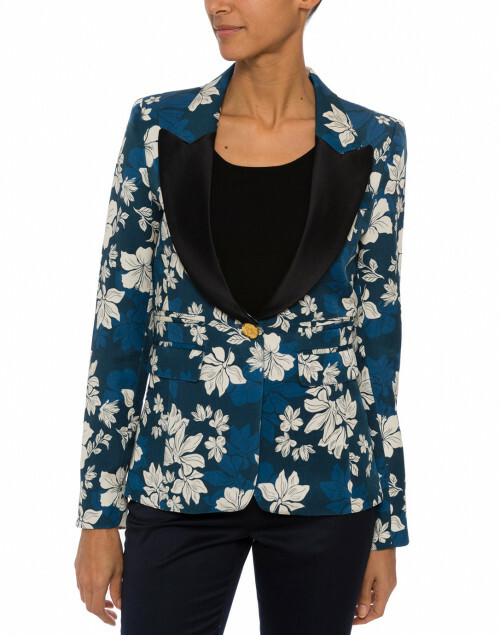 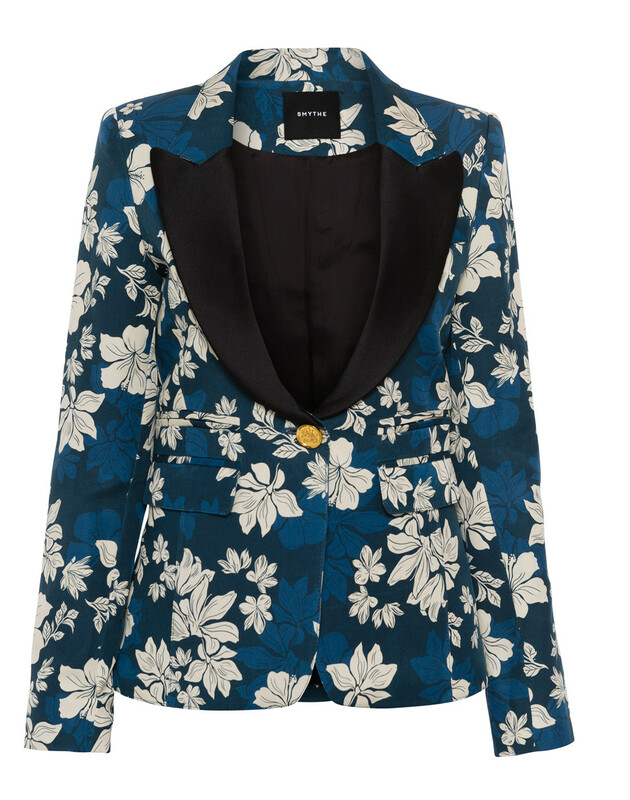 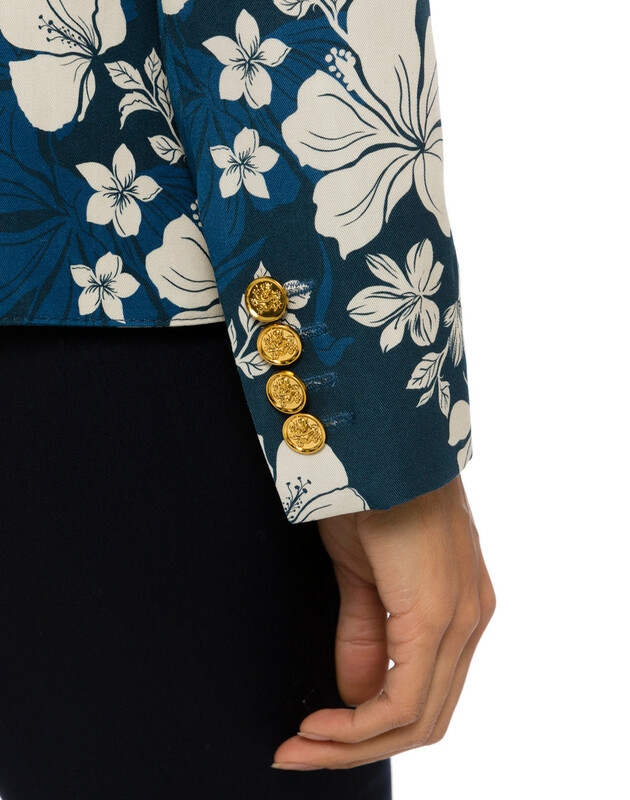 Watch Smythe bring bold femininity to classic tailoring with this Hawaiian floral printed blazer. 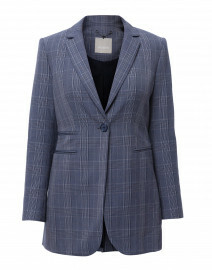 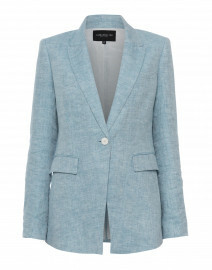 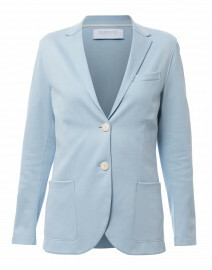 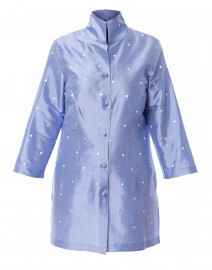 Decidedly tailored and a best-selling silhouette, this single-breasted blazer has a blocked peaked lapel, dropped back vent and flap pockets. 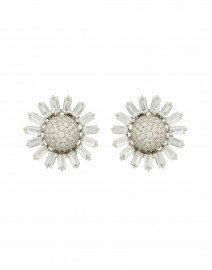 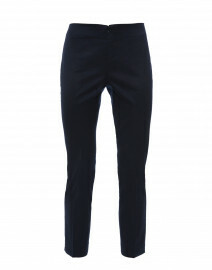 Style it with tailored trousers for a chic dinner date look. 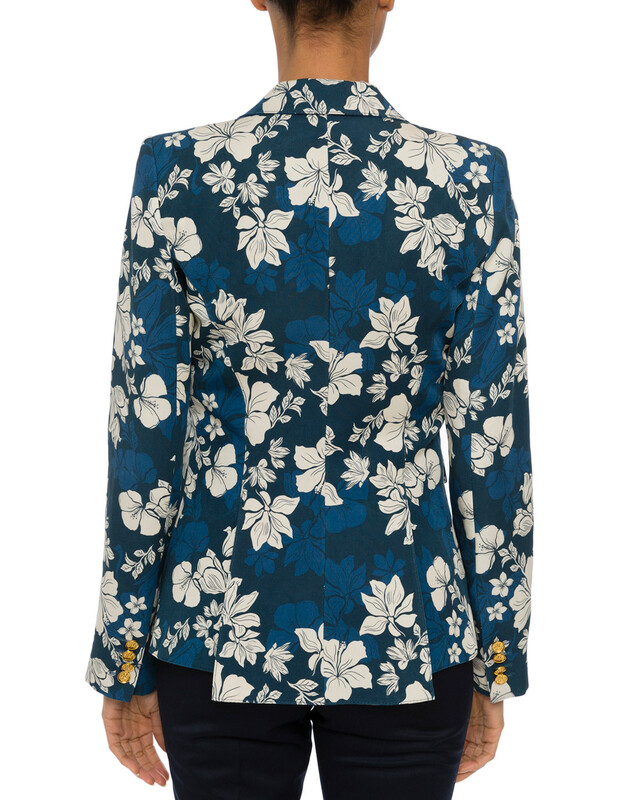 Length 27" 27" 27" 27.5" 27.5" 27.5"
Shoulder Width 14" 14.5" 14.5" 15" 15" 15.5"
Bust 34" 35" 36" 38" 39" 40"
Waist 30" 31" 32" 34" 35" 37"
Hip 34" 35" 36" 38" 39" 40"
Sleeve Length 25" 25" 25" 25" 25" 25"
Slit Length 8.25" 8.25" 8.25" 8.25" 8.25" 8.25"